A new Russian Law on the Police has been opened for nationwide discussion on the Internet. 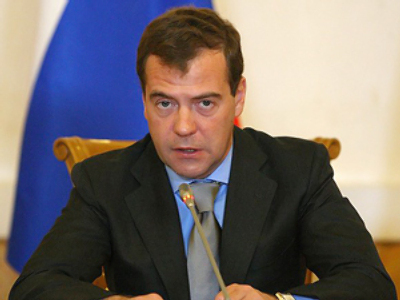 The unprecedented project was proposed by President Dmitry Medvedev. A new website – www.zakonoproekt2010.ru – was launched for the purpose on August 7 and it is expected that the discussions of the bill on the police will continue up until mid September. According to the Russian head of state, presenting the bill to the public is a crucially important step. “It is the first time ever that we bring up for such a wide discussion a bill affecting the interests of all citizens,” he said speaking at a meeting on amendments to the law on the police (or “militia” in Russian) on Friday. “We have important power structures, but it is the police that are at the frontline of work with our citizens,” he underlined. 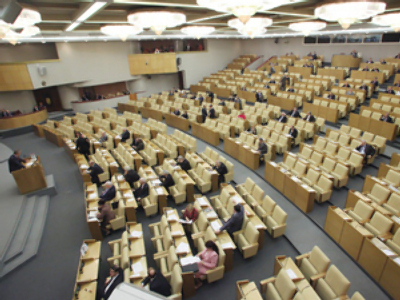 Medvedev added that the bill will definitely be discussed in other spheres as well. If the experiment is a success, other important bills will be posted on this website, Medvedev added, cites Itar-Tass. “Sometimes our draft laws are published on departments’ websites and then discussed within professional communities,” he said. But the proposed idea is something completely different. “I hope there will be constructive discussion,” Medvedev said and vowed that all the proposals sent via the website will be carefully studied. However, that does not mean that “all the formulations will be supported” and the concept of the law should remain unchanged. The public seems to have welcomed the move and many have already posted their comments to the proposed legislation on the new website. It has also sparked heated debates within the Russian internet community. Medvedev has also suggested giving Russian law enforcement bodies – which are currently known as the “militia” – their old title: the police. “We need professionals, officers who do their job effectively, honestly, and seamlessly. Therefore I think it is time to return law enforcement bodies to their [old] name – the police,” Medvedev said. The president reminded the police was renamed to “the militia” after the Socialist Revolution in 1917. “This was done to stress its popular nature, and that it consisted of workers and peasants. In fact, they were uniformed neighborhood guards,” he said. However, Vladislav Inozemtsev, head of the Research Center for Post-Industrial Studies, argues that no extra expenses will be needed. “It’s not about the rising of expenditures; it’s about making police force more effective. Today we have huge police forces, more than a million people are engaged in its work in one way or another. In the Interior Ministry, there are more than 8.6 million employees. I think it’s quite possible to make the structure of police more effective – even if the government will employ less people – and make it less expensive,” Inozemtsev said. As for the contents of the new law, the president underlined that the rules should make it absolutely clear what a policeman can do and what one cannot. The law should provide a full and detailed list of the employees of the Interior Ministry. In addition, regulating the use of force by police must be confirmed at the legislative level, writes Interfax. “These regulations will be set forth in separate chapters, listing police functions during detentions and while entering premises and territories. The powers related to the use of weapons, special means and force will be detailed,” Medvedev. “This is what arouses a sharp reaction in society and what must be rigorously regulated,” he went on. These extremely important norms are being regulated for the first time, he noted. The major police reform that is currently underway in the country was given a start in December last year when Medvedev signed a decree reforming the structure of the Interior Ministry of the Russian Federation. It followed a spate of violent crimes and corruption scandals involving police officials. The most shocking incident took place in April 2009 when policemen Denis Yevsyukov shot up a Moscow supermarket, killing two people and wounding several others. The overall purpose of the reform is to make the law enforcement agencies work more efficiently. 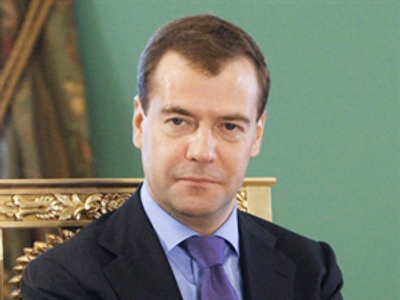 President Medvedev is personally overseeing the process.